The Arizona bark scorpion is a small light brown scorpion common to the Sonoran Desert in southwest United States and northern Mexico. An adult male can reach 8 cm in length, while a female is slightly smaller with a maximum length of 7 cm. 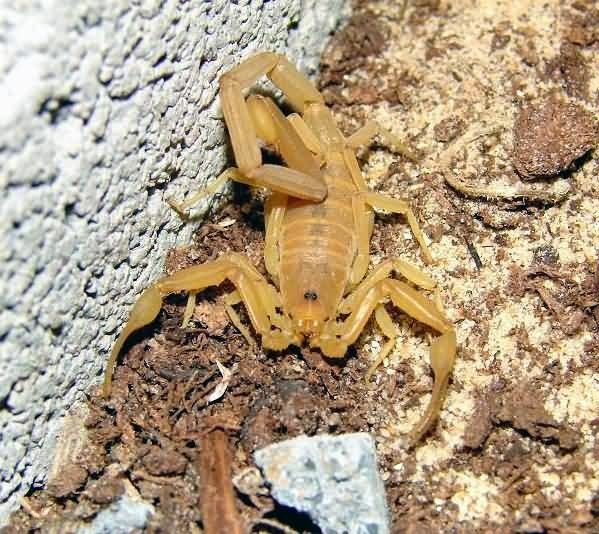 The bark scorpion is the most venomous scorpion in North America and its venom can cause severe pain like coupled with numbness, tingling, vomiting and stool in adult humans, typically lasting between 24 to 72 hours. Fatalities from scorpion envenomation in the USA are rare and are limited to small animals (including small pets), small children, the elderly and adults with compromised immune systems. An antivenom was developed for this species at Arizona State University and produced in quantities sufficient to treat individuals within the state of Arizona.